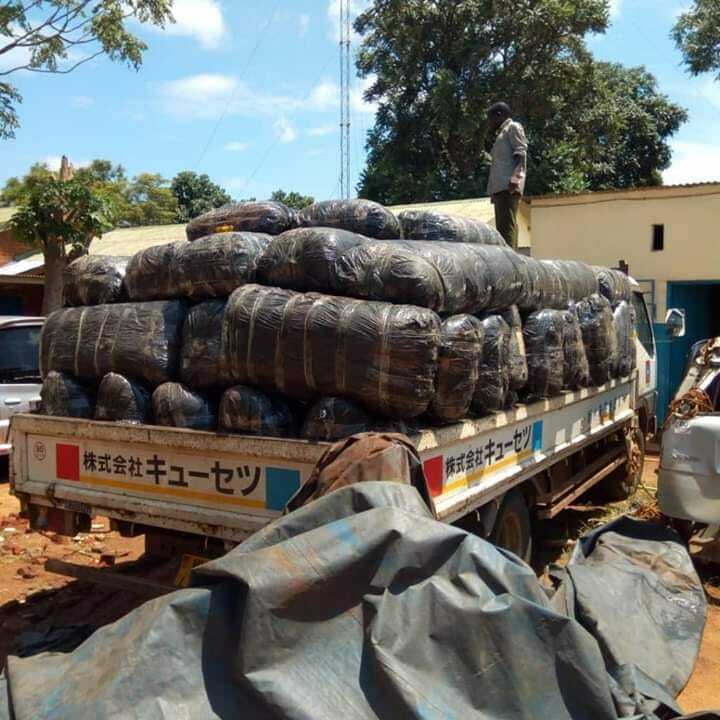 Police in Kasungu have seized a three toner lorry, Mitsubishi Canter registration number MN4430 which was loaded with 77 bags cannabis well know as Chamba. The operation took place during the night of March 18, 2019 at Chimbowe area. At around 9 O’clock in the evening police got a tip that the vehicle in question was seen loading bags which were suspected to be Chamba. Police CIDs made a follow up and just as they reached Chimbowe area near Kalenga trading centre where they saw the vehicle coming from the direction of Chamama heading to Kasungu but just as the driver realised the presence of a police vehicle coming towards the vehicle he was driving he jumped from the vehicle and fled together with other passengers who were on the vehicle. Meanwhile, police inquiries are underway to trace the driver and other passengers who were on the vehicle.